The decade of the 1920s is usually associated with prosperity, but in fact the return from the war was difficult: returning soldiers needed jobs, which caused unemployment. Feeling that their sacrifice of war had not been rewarded, veterans developed a feeling of bitterness and many of them drifted towards the socialists, making the government worry that they would actually support a revolution, like the Bolsheviks in Russia. An irrational anti-Bolshevik feeling fed by propaganda caused a panic in North America known as the Red Scare. In Canada, the radicalization of workers had actually started during the war. WW1 had meant a boom in Canadian manufacturing, but had also caused inflation. As a result, there were many labour conflicts even during the war. 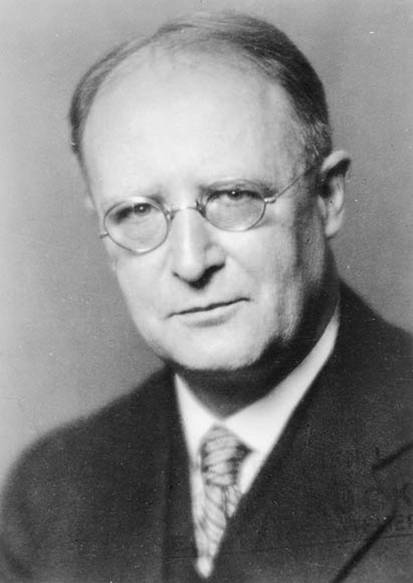 The main Canadian union, the Trades and Labour Congress (affiliated with the American Federation of Labor), had not been included in the planning of the war effort. Truly radical unions emerged in the west under the influence of the Socialist Party of Canada, demanding a total destruction of capitalism. The west was radical because of the presence of many immigrants from the heavily unionized industrial regions of Britain as well as European areas with strong socialist traditions. These workers had to endure hard and dangerous working conditions in coal mines and logging operations. They suffered a higher cost of living due to transportation costs. Radical western unions met at the Western Labour Conference in Calgary in March 1919. They broke from the moderate TLC, proclaimed their support for Lenin’s Bolsheviks, and voted a general strike for a national 30-hour workweek. As a result, the spring and summer of 1919 were marked throughout the country by workers’ revolts supported by war veterans who could not find jobs. 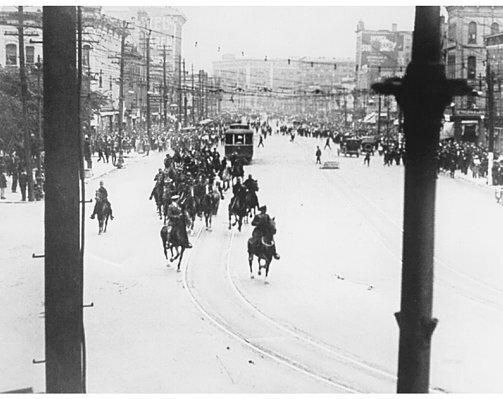 The climax came with the Winnipeg general strike which lasted for 6 weeks, was accompanied by frequent riots and ended with a violent crackdown by the Royal Canadian Mounted Police. The workers’ movement fuelled the Red Scare and was answered by an aggressive crackdown, so in the end the workers suffered a crushing defeat. 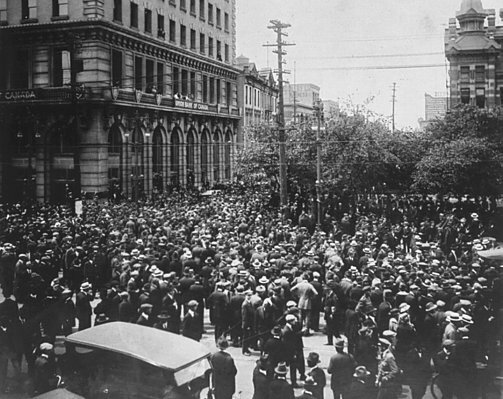 The anti-union campaign was reinforced by a severe economic depression from 1920 to 1922, and for Canadian workers the early 1920s was a period of poor wages, periodic unemployment and poverty. Yet the organization of labour was boosted by the emergence of a new party in 1919: the Independent Labour Party. By 1921 it had representatives in 7 out of 9 provincial legislatures, and 4 representatives were elected to Parliament in 1921. Farmers were also disappointed. After the war, the promise of a low tariff was not kept; the wheat market collapsed; and serious droughts began. They started organizing political alliances (United Farmers) allied with the Independent Labour Party and won elections in Ontario in 1919 and in Manitoba in 1920. In 1920, they formed the National Progressive Party. The social unrest from both workers ad farmers in 1919-1920 made it clear that new ideas were needed. 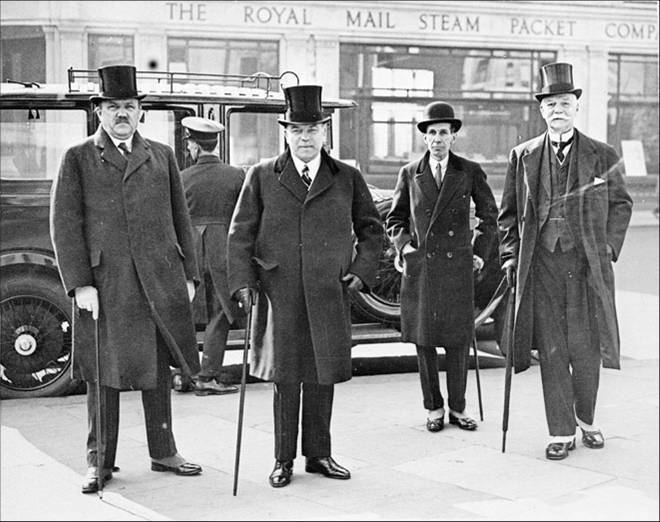 The Liberal Party adopted a progressive platform of state intervention in economic affairs under the leadership of William Lyon Mackenzie King, promising a national health care insurance, an unemployment insurance, a pension legislation. Meanwhile the Conservative leader, Sir Robert Borden, tired after 9 years as PM, retired in 1921, leaving Arthur Meighen as party leader. The Liberals won the general elections of 1921, with the Progressive Party winning 20 seats. The Liberals therefore could form only a minority government that depended on an alliance with the Progressives. 1921 seemed to introduce a new political organization. With the two-party system broken, some groups, like farmers and industrial workers, were represented for the first time. But the Progressive party was divided between the supporters of free trade and those of a more radical program, and had no support in Quebec. The Progressive Party and the farmers and workers it represented were therefore unable to win a strong foothold in federal politics. As a result, even after prosperity returned, farmers never shared in it. Their situation remained critical, they were often unable to repay loans and taxes, which caused many of them to lose their farms. 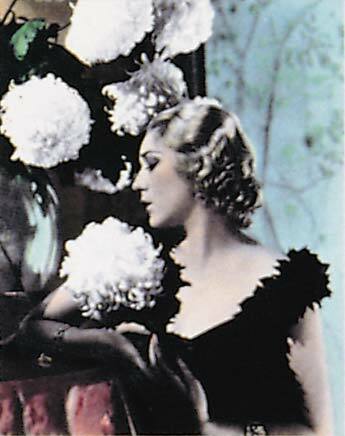 By the mid 1920s, prosperity had arrived. Wheat exports started again, the lumber production and the pulp and paper industry took off, there was a boom in minerals (gold, copper, iron, nickel). The housing industry grew thanks to the birth of the first suburbs, a wave of consumer spending encouraged the new industries of the automobile and electrical appliances. Consumption was financed thanks to credit and promoted by advertising, and prosperity was fuelled by speculation on real estate and the stock market. Prosperity in Canada really was a spill over of wealth from the US, thanks to huge American investments in Canada that made most of the economy activity, especially mining, dependent on American funds. A shadier type of prosperity was the result of Canada’s role as manufacturer and exporter of alcohol for the US under Prohibition (as illustrated in the TV series Boardwalk Empire). 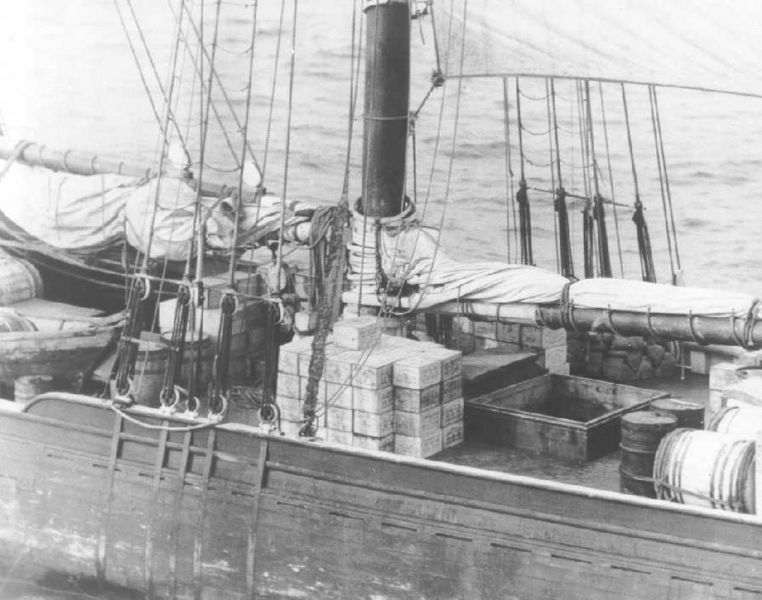 Smuggling was a thriving and profitable activity. In Canada, the roaring twenties were very much like their American equivalent: automobiles, phones, radios, cinema, and flappers. In Canada as in the US, farmers and workers were left out. The 1920s were also marked by the emergence of nationalism, especially in English Canada. Participation in the war had made Canadians more conscious of their distinctiveness and of their new international status. 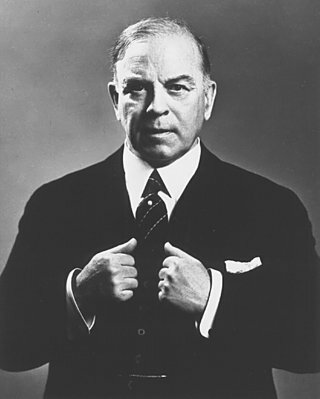 Prime Minister Mackenzie King, with the help of under-secretary of state for External Affairs O. D. Skelton, worked to obtain full diplomatic autonomy for Canada. The Dominions' diplomatic autonomy was agreed upon at the Imperial Conference of 1926 (Balfour Declaration) and officialized by the Wesminster Statute of 1931. 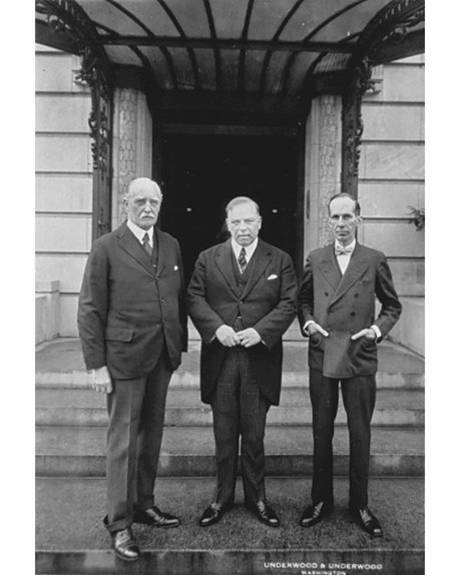 Canada opened its first representation in a foreign country with the embassy in Washington in 1926. In the years that followed WW1, Canadian artists worked at expressing the distinctive Canadian culture. They wrote books and painted pictures that reflected the true Canadian spirit. In painting, the urge was translated into reality by the Group of Seven who wanted to paint the true Canadian northern landscape and colors, in accordance to a nationalistic agenda: “an Art must grow and flower in the land before the country will be a real home for its people”. Between 1920 and 1940 over 750 novels were published in Canada, including the famous war novel by Charles Yale Harrison, Generals Die in Bed (1930). Summer schools were organized to promote Canadian literature. In universities, programs in Canadian history were opened. Several Canadian magazines started to circulate Canadian ideas: The Canadian Forum, The Canadian Historical Review. Popular culture was also affected by the nationalist feeling of the period, with the creation of the Canadian Broadcasting Corporation (CBC) to compete with American radios and spread the work of Canadian writers and composers. Yet the 1920s was also a time when the Americanization of Canadian culture was accelerated because of the attractiveness of the powerful American popular culture. Hollywood absorbed Canadian talents like Louis Mayer, Jack Warner, Mary Pickford; the sports industry was transnational, although Canada remained ahead in hockey, with the Canadian NHL as the top professional hockey league in North America.